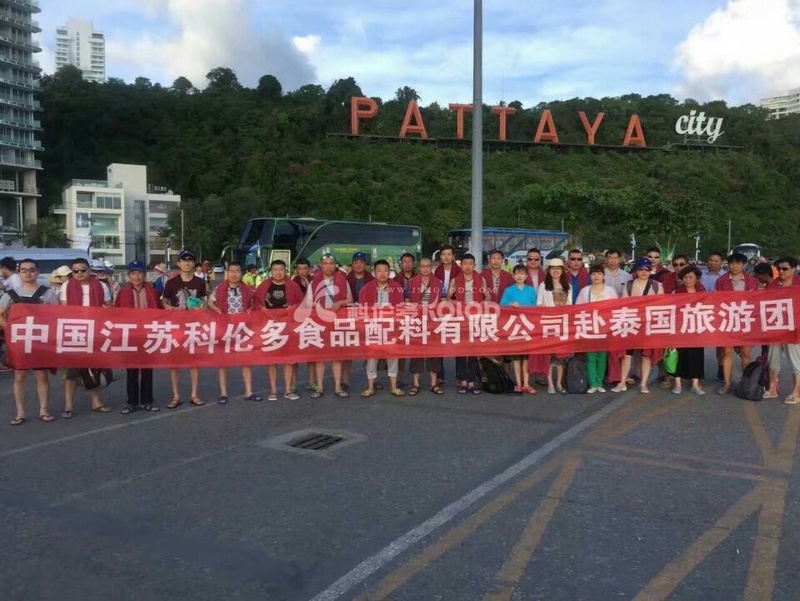 Jiangsu Kelunduo employees travel to Thailand | Jiangsu Kolod Food Ingredients Co.,Ltd. In order to enhance staff team consciousness, humanistic management, employee care will be implemented, allowing employees to relax after work, to enjoy the pleasant scenery, in September 2017 the company was organized in 2017 to the first half of the year has a prominent contribution to the production of potassium chloride and sulfuric acid, iron workers travel to Thailand. The whole trip a total of 7 days. On the way the staff of laughter, lively atmosphere. We have visited Doi Suthep Mountain, Ssangyong temple, Tai Temple Jindongni embarrassed shooting, Simon shows, The Grand Palace, Bangkok Pattaya and other famous scenic spots. The tourism activities so that employees in the usual busy work, relaxed mood, edify their sentiment, full of team spirit, so that everyone in the future more enthusiasm into the work, let Kelunduo this family more harmonious, so as to better promote the enterprise cohesion.